Situational awareness: Amazon has plans to split its second headquarters between two cities with 25,000 employees in each city, the Wall Street Journal’s Laura Stevens reports, citing "a person familiar with the matter." Amazon declined to comment. You already know what you think about the midterms, or are smarter than to predict. So here's a cheat sheet for what comes next. Lose as expected, and he'd face a narrowly controlled Democratic House and a friendly Republican Senate, with the ability to keep confirming judges. Lose by a landslide, and the House would get more hostile, and even the Senate would be at risk. But win by any margin, and he could get even more aggressive on tax cuts, health care and immigration, with only congressional fears of 2020 in the way. "Agreement on an infrastructure bill could give a boost to construction equipment and transportation companies. And legislation to control drug pricing would likely be a drag on pharmaceutical company stocks." 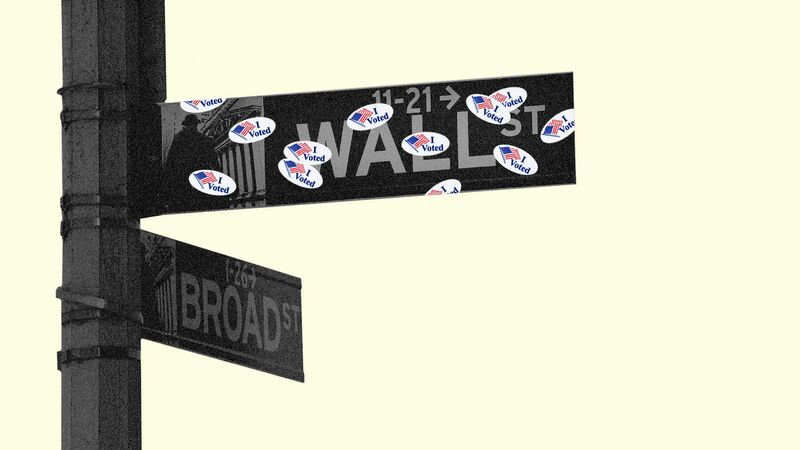 "A Democrat-led House could also lead to heightened oversight and investigations of big banks and Wall Street firms, which could weigh on financial sector stocks." "The possibility of a government shutdown also increases with a divided Congress... The S&P 500 slumped nearly 20 percent during the government shutdown that occurred during Congress’ 2011 debt ceiling impasse." What's next, if history holds: "The S&P 500 has generated an average price return of 16.7 percent in the 12 months after each of the midterm elections going back to 1946, according to CFRA. That’s 18 elections, many of which ended up shuffling the balance of power in Congress." 🎧 Axios' Alexi McCammond and Dan Primack set the stage for tomorrow's midterms on the Pro Rata podcast. Listen here. 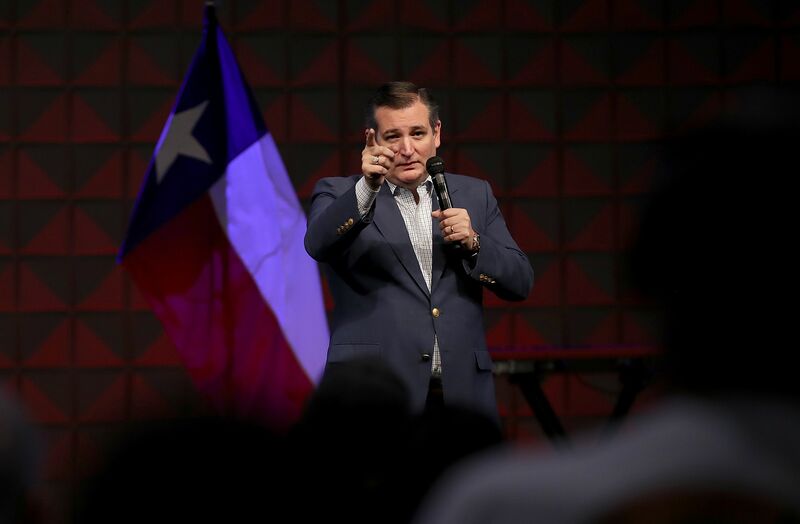 Above: Ted Cruz speaks during a Get Out The Vote Bus Tour rally in Pearland, Texas. Below: Beto O'Rourke addresses a campaign rally at the House of Blues in Houston, Texas. Trump says he probably won't meet Vladimir Putin in Paris next week, but that they would meet at the G20 summit in Argentina later this year. Go deeper. NBC, Fox News and Facebook have pulled a controversial anti-immigration ad paid for by Trump's campaign. CNN, meanwhile, refused to air the ad at all, calling it "racist." Go deeper. Trump railed against CNN "Fake Suppression Polls" in a Monday morning tweet, and later warned that illegal voters will be subject to the "maximum criminal penalties allowed by law." The tweets. U.S. soybean sales to China are down 94% from last year's harvest, as retaliatory tariffs stemming from President Trump's trade war have Chinese consumers turning to less expensive trading partners, reports the NYTimes. The Supreme Court won't hear challenges to the 2015 net neutrality rules that banned internet service providers from blocking or slowing the delivery of content, or offering fast lanes for a fee. Go deeper. "[T]he most satisfying moments of Robin Wright’s long-overdue moment in the ["House of Cards"] spotlight focus not on Frank [Underwood] himself, but on the male power structure he represented, the sense of ownership he still exerts from beyond the grave, and on Claire’s struggle to bury him once and for all," Emma Dibdin writes for The Hollywood Reporter. "'It’s actually not as easy as it looks,' Claire confides to the audience..."
"Claire has long been shown to be just as power-hungry as her husband, but quieter and more careful, playing a longer game." "But as [Frank's] successor, she faces a completely different and far more insidious set of obstacles than Frank ever did in his own ascent to power."